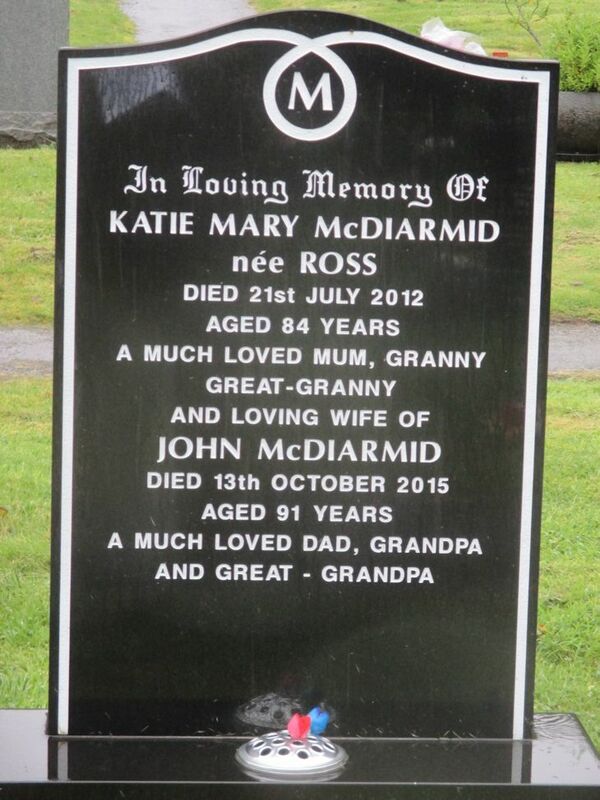 Skye Gravestones | Katie & John McDiarmid. In loving memory of/KATIE MARY McDIARMID/née ROSS/died 21st July 2012/aged 84 years/a much loved mum, granny/great-granny/and loving wife of/JOHN McDIARMID/died 13th October 2015/aged 91 years/a much loved dad, grandpa/and great-grandpa. Picture Added on 13 June 2018.